Here's a new song from Evansville. Playing, creating, and praying seen in action at camp recently: David Katcher playing with his group. Your guess as to what they're up to is as good as ours, but it looks like fun! Mr. Gabe's camp group voted to name themselves "Sons of the King," for the three weeks they'd be together. They made crowns and had icee pops in the 90+ degree heat to celebrate. Our summer camp in Evansville is off to an awesome start, with the number of campers starting high at 38 on Monday and growing to 60 by Friday. 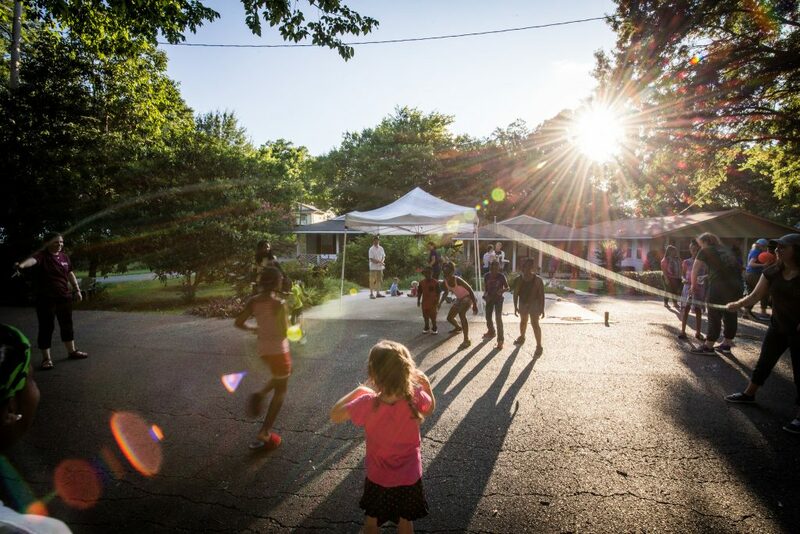 The kids are playing sports, making crafts, and singing songs of praise every day as they grow in friendship with the Lord, with each other and the camp leaders.